Tignes is served by the large well linked ski area called L'Espace Killy, which it with Val d'Isere. 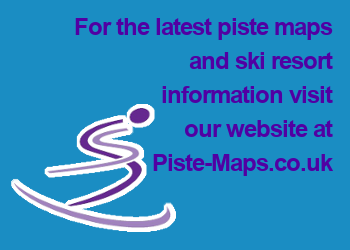 With over 300km (190 miles) of pistes, 150 shops, 115 bars, numerous ski schools, 1500+ staff & extensive off-piste. It has become one of Europe's premier resorts. Due to its altitude Tignes has a very reliable snow record. Which, after recent seasons of reduced snowfall, has encouraged people to choose higher mountain resorts. According to 'The good Ski & Snowboarding Guide' Tignes/Val d'Isere is one of only two ski areas in France listed as 'Snow-sure resorts'. L'Espace Killy is known for its incredible off-piste with good lift access. Also there is a half pipe, boardercross course, some great freeriding. Plus the 1992 Olympics downhill course should you be feeling up for it. 28,000 visitors are catered for at any one time, predominantly in self-catering apartments, although there are a plenty of 2 - 4 star hotels & catered chalets to choose from. Most accommodation has very convenient access to the slopes. If you want to try something new, ice diving, dog sledding, hang gliding, skidoo riding, ice climbing, parascending, ski-joring (being pulled along by horses) , skating, snowshoeing, indoor tennis, heliskiing are all options. There is a natural ice rink, free with a valid two day or more ski pass. Magic carpets, draglifts, slow-speed chairlifts. Each part of the resort has at least one free ski lift leading to a short, gentle green run.